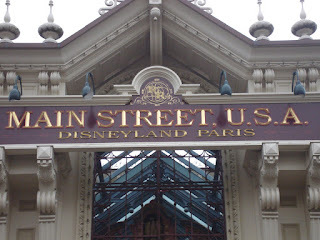 I’ve spent the last few days on a Media / Leisure and Tourism trip to Disneyland Paris. The trip, put together by Study Experiences, focused on the marketing of this huge organisation. I have to say that the photo above sums up the experience! The roller coasters of course were great fun, although having to go to McDonald’s to find the only decent coffee was a low point! Of course, as a Geographer I was on the look out for useful resources and opportunities. And finally, the eventful weather of Thursday made the journey back an adventure! I hope to get some of these resources together at various points over the year.